For most minor league players in professional baseball, receiving a placement in Memphis, Tennessee is a welcomed feeling. Owned by the St. Louis Cardinals, Triple-A Memphis is just a drive away from the big league club, allowing fans an easy time of keeping tabs on their favorite players. The Redbirds play in the competitive Pacific Coast League, facing off against some of the top minor league systems in baseball. The team plays at AutoZone Park, acclaimed as one of the best ballparks by several top publications. The list could continue on. Most players would list those things among the frontrunners of why they love playing in Memphis. 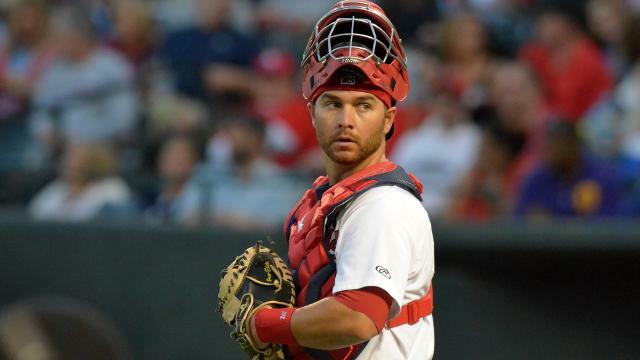 But for Memphis-native and Redbirds’ Opening Day catcher Ed Easley, another motive holds true. “It feels really good to just be able to play professional baseball and live in my own house,” Easley said. Born in Memphis and having grown up in nearby Olive Branch, Mississippi, the former 2007 supplemental 1st round draft pick was signed by the Cardinals as a minor league free agent in the offseason. He spent the first seven seasons of his career in the Arizona Diamondbacks’ organization. Signing with St. Louis brought about excitement concerning a fresh start with a new organization. A 2004 graduate of Olive Branch High School, Easley was one of the top catchers in Mississippi, earning All-State honors twice. In addition, he was named a Louisville Slugger All-American, Mississippi Gatorade Player of the Year and Olive Branch’s MVP, among other top accolades, following his memorable senior campaign. The four-year starter hit nearly .460 for the Conquistadors in his career, driving home 158 runs, while recording 61 doubles and 28 home runs. His offensive output for a catcher made him a highly recruited backstop out of high school. With options to attend schools like Georgia Tech, Clemson, and several Southeastern Conference universities, Easley decided to stay close to home and committed to Mississippi State University. Used primarily as a catcher throughout his career, the 28-year old has made appearances at first and third base tracing back to his time at State. Utilized at the hot corner in his first two years, Easley then caught every game in his junior campaign. He acknowledges being drafted as a catcher, but remains open-minded about other positions. Similar to his last year in high school, Easley’s final season with Mississippi State gave him recognition for a superb job both behind the plate and at the dish. He was the recipient of the Johnny Bench Award as the nation’s top collegiate catcher. The backstop was selected as a Rawlings and Louisville Slugger All-American, in addition to being the Mississippi Collegiate Baseball Player of the Year. No mistake though, the Johnny Bench Award was his most-notable honor. Easley jumped right into professional baseball following the draft in June of 2007. He moved through Arizona’s minor league affiliates in the years to come, but uncharacteristically hit below a .275 average every season through 2012. He admittingly “didn’t have too many great years early.” With only 17 games of prior experience above the Double-A level, Easley was assigned to Triple-A Reno in the Pacific Coast League to begin 2013. In his best campaign statistically at any minor league level, the catcher hit .334 with 49 runs batted in and 29 extra-base hits, to go along with throwing out a league-best 35.7% of attempted base stealers. Easley attributed last year’s success to a budding amount of confidence following a strong Spring Training. Fast forward to now, hopes are high for that same confidence to guide him during his time with Memphis. The right-hander’s aspirations for the season are different than any before though. 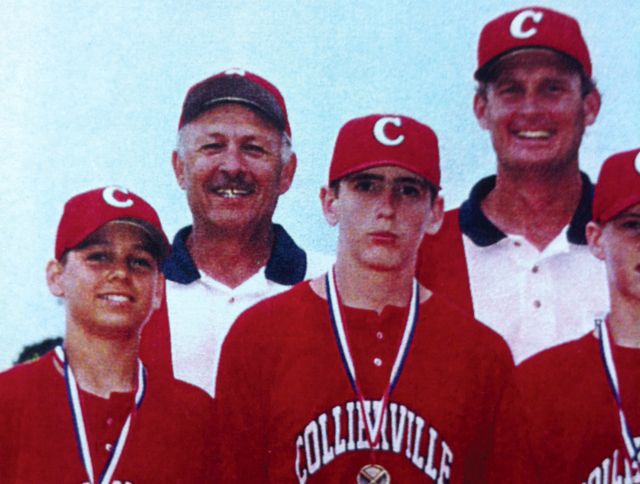 Ed Easley (bottom left) and Charlie Lea (upper right) in Collierville Little League. In the midst of his eighth professional season, Easley has experienced the ups and downs of professional baseball. He has had many coaches, parents, friends, and teammates make a lasting impression on the way he plays baseball, and many of them will be able to see him play at AutoZone Park this year. But if there was one person Easley wishes could be in the stands, it would be Charlie Lea, the man who made the most lasting impression on Easley’s baseball career. Lea, a former Memphis Chicks pitcher and Redbirds’ broadcaster, had sons that were similar in age to Easley. 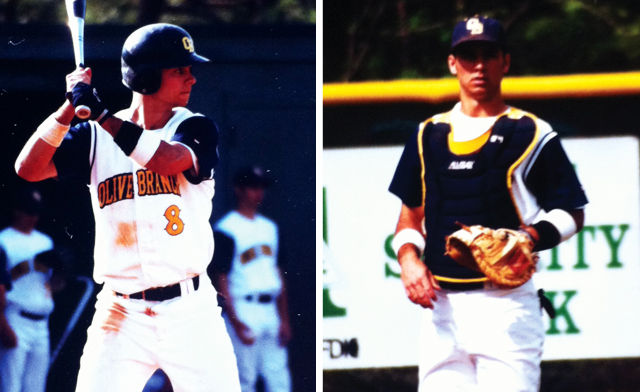 The boys all grew up together and played competitive baseball with one another. The former Montreal Expo helped Easley by teaching the catching side of things, instead of what Lea was famous for, pitching. The experiences and time spent around Lea will always be something Easley cherishes. “Charlie Lea taught me more about this game than anyone else,” Easley emphasized. “When it came to baseball skills and how to live my life on and off the field, I learned a lot from Charlie in those ways. As Easley looks to repeat last year’s strong performance, his chance to play in AutoZone Park during its 15th season is something he will cherish. In the end, Easley’s passion is playing baseball and he hopes fans can see it by the way he plays. “Playing pro ball in my hometown, there’s not much more I can ask for honestly,” Easley concluded. 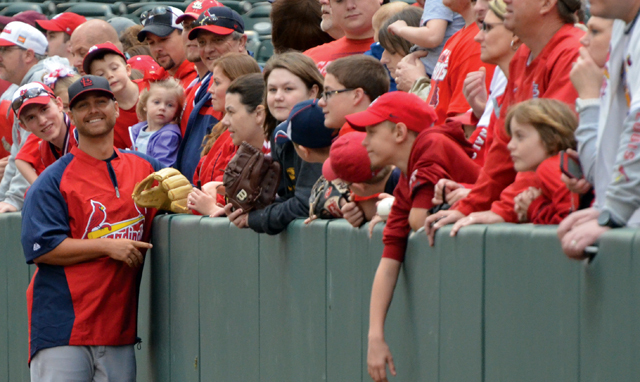 Easley before the St. Louis Cardinals Exhibition Game at AutoZone Park in 2014.